Whether to love or not to love spicy food is an option, or maybe a lifetime choice for you. Some people love it, while some others cannot handle the pain it gives. However, in common, we love a little bit of spiciness. For some of you, spicy food is even a must. In some places like India, Indonesia, and Korea, people think that food taste less good if it is not spicy. And almost every country in this world has its own kind of spicy delicacy. Isn’t it strange that we love the pain we get from spicy foods? Indeed it is a fact that us, human in common, are animals (well, in scientific way we are mammals) which are born with the preference to seek for spicy food. But apparently, we are not the only animal that seek for spicy foods. There is a small creature in this world, other than human, that really love spicy food. And it savors the spiciness into some rate you might not be able to imagine. What is it? Meet the Chinese tree shrew. Okay, we have said that tree shrew loves spicy foods, but let’s talk about it later. First of all, let’s talk about the painfully addictive burning taste we get when we eat spicy foods. And where did it come from? Chilies. Chilies get the spiciness from a substance called capsaicin, which the plant produces. This substance can stimulate areas of skin that normally sense intense heat and pain, thus the burning taste we get when eating it. Capsaicin is intended to be the defense mechanism of the plant to protect itself from foraging animals. For your information, capsaicin comes in a form of oil, and oil tend to stick more into our inner mouth and digestive system compared to water that flows down easily. That’s why we cannot get rid of the burning taste in our tongue easily by drinking water and easier to do it by drinking milk. Basically because milk can bind and wash away oils more effective than water. We know that chilly grows colorful fruits with its green, yellow, and red color. And those colors are highly attractive to animals. The reason why chilly produces such kind of defense mechanism is obviously because the fruit of the plant is very appealing to foraging animals. This defense mechanism is meant to ensure the seeds of the plant are spread far and wide when ripe enough to spread. 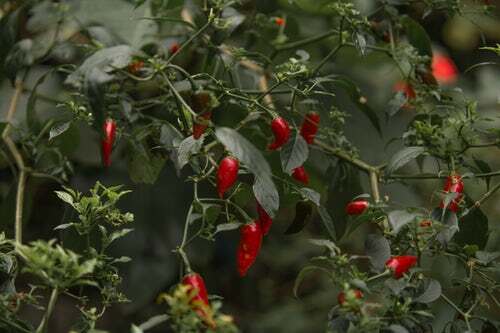 Most of ripen chili peppers have distinctive red color, which is the favorite food color of many animals. How Can They Eat Those Chili Peppers? 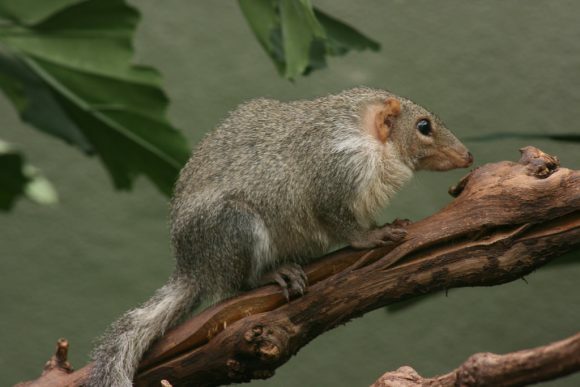 Okay, it is time to talk about the Chinese tree shrew. This little animal is native to tropical forests in Asia which appears just like squirrels with long body yet it is genetically closer to primates. This animal has even been used as the substitute of primates in several experimental studies. Apparently, the defense mechanism that chili peppers use is pretty much successful to get rid of many species of animals, except human and tree shrew. Tree shrew just don’t care about the spiciness of those chili peppers, and they can eat as much as they need to fill their tummies. The brown-gray mammals are usually only less than 10 inches long, yet they have higher tolerance to spicy foods compared to some adult humans. They have even been observed to actively seek for spicy foods, especially chili peppers. It raised a question to some researchers. How can this small animal handle such amount of capsaicin in their mouth and digestive system? That’s why a group of Chinese researchers conducted a study to learn about this behavior. 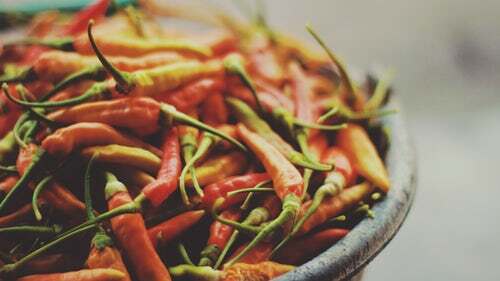 In the study published in journal PLOS Biology, the scientist concluded that their ability to deal with the spiciness of chili peppers came from genetic adaptation. 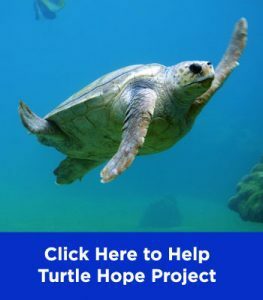 The adaptation granted this animal an ability to produce some kind of amino acid that blocks the capsaicin to bind to the receptors. From the result of the study, the researchers found out that tree shrews can still taste the burning feeling of capsaicin in their mouth. However, because of that ‘block’, they most of the burning feeling is eliminated. Thus, it is not about numbness to burning feeling that the spicy foods give, but this animal feel it less spicy than us humans. So, the next question is, why do they still torture their mouths just to eat those spicy peppers? The answer is survival. “We propose that this mutation is an evolutionary adaptation that enabled the tree shrew to acquire tolerance for capsaicinoids, thus widening the range of its diet for better survival,” said Yalan Han, a researcher from University of Chinese Academy of Sciences. 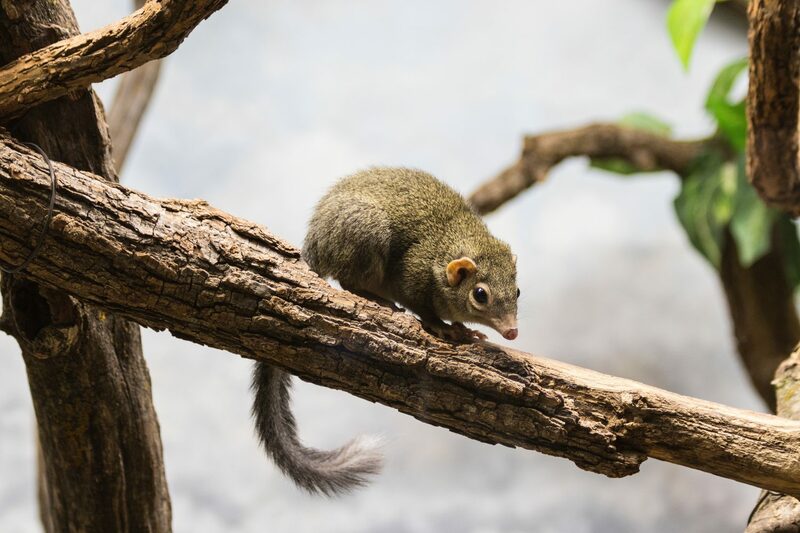 Just like how the chili plants developed the defense mechanism, by making their fruits taste spicy, tree shrews have had their own way to follow the line of survival. 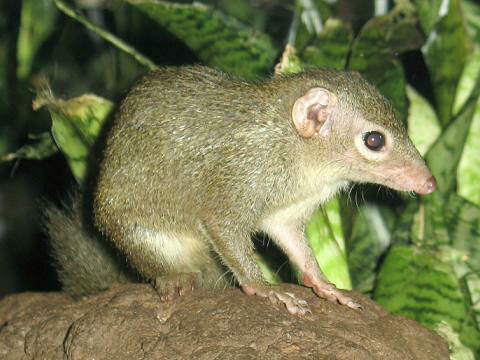 Nathaniel Dominiy, a professor at Dartmouth College, said that both tree shrew and chili plants “could well be coevolved”. This ability to tolerate the spiciness of chili peppers gave the animal an upper hand in survival. They can get as much chili peppers as they want in the wild, since there is no other mammals can deal with it. Their only rivals in getting the chili peppers are birds, since birds do not have the receptors of spiciness in their beaks. Knowing that they have higher tolerance in spiciness, you might assume that they only eat those spicy foods up to a level they can handle. It is okay to assume that if the foods get too spicy for them, they will ditch it. But that’s not the fact, scientists studying this animal found out that there is a chance this animal has grown a strange affection toward spicy foods. During the first scenario of test, the researchers just gave the animal ‘normal’ spicy foods in a measurement that the researchers thought this animal can handle easily. 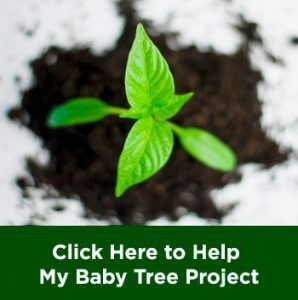 After knowing that tree shrews can easily pass the first test, the researchers tried to add more capsaicionoids into the foods, which would make it spicier. Surprisingly, after the addition of capsaicionids into the foods, the animal samples showed “a slight increase in the food intake”. So, if only this animal live in California, can they handle the reaper?